This workshop is available for just you and a group of friends. A chance to book a session to be enjoyed by everyone you know just before Christmas. Materials, tuition, laughs and refreshments are included but feel free to bring along your own bubbly! 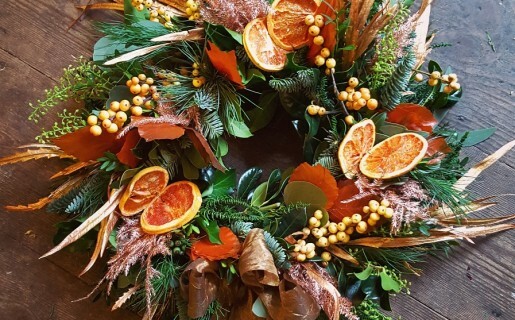 We will be using lush foliages, accessories and ribbons to create your very own luxury door wreath to take home. This workshop will be held in Thorpe St Andrew, full details to follow nearer the time.